Industrial production was unexpectedly strong in February, rebounding 0.6 percent after dipping 0.2 percent in January. Market expectations were for a 0.3 percent gain. Capacity utilization improved to 78.8 percent from 78.5 percent in January. Expectations were for 78.6 percent. Looking ahead, the manufacturing component may be soft based on production worker hours in manufacturing dipping 0.2 percent in the last month. 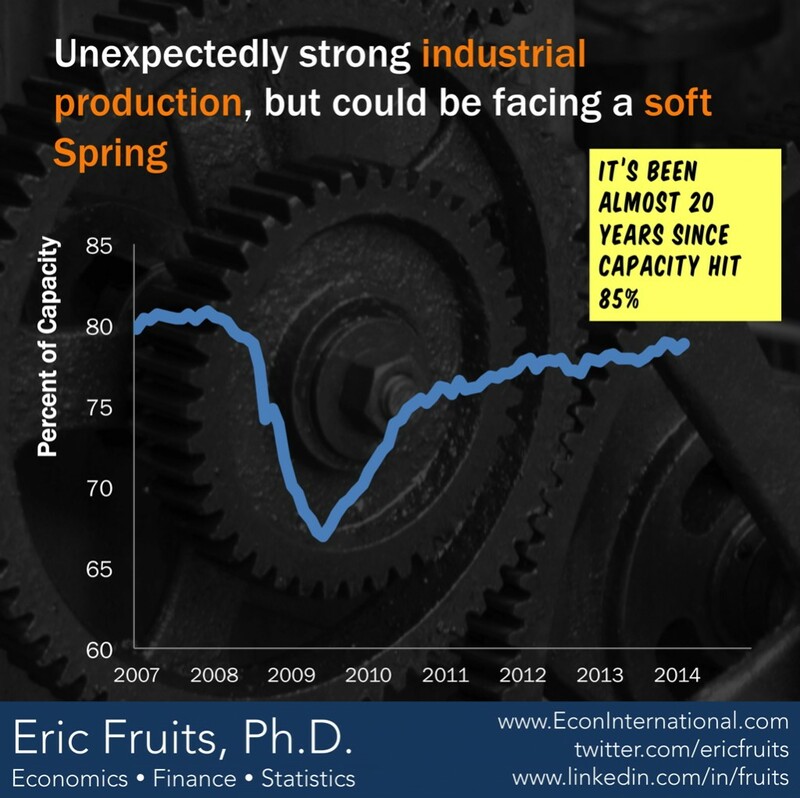 The capacity utilization rate provides an estimate of how much factory capacity is in use. It is an important measure of current output for the economy and helps to define turning points in the business cycle such as the beginning of a recession or the return to recovery.